I’m not exactly what you call a Peanuts fan. I have a basic understanding of the franchise, read a cross-section of the comics, watched the Christmas and Halloween specials a couple of times as a kid, and I played a Snoopy game on Game Boy (it was hard) – but I’m by no means a fanboy. Okay, reading that sentence again, that might not entirely be true. But in defense, I didn’t even know this movie was coming out until there was a 5-cent therapy booth at Potsdamer Platz (unfortunately, the doctor was not in). The Peanuts movie – surprise incoming – centers around the titular characters, with in the middle: Charlie Brown, who is in love and will do anything to not have to go win the lucky lady’s heart. For some reason, Charlie Brown is considered an American hero, like Mickey Mouse or Rambo – described as an eternal optimist who never gives up, no matter how often Lucy pulls away that darn football. I never quite understood that: To me, Charlie Brown is a coward, who needs his friends (and dog) to get anything done. This makes for an interesting – but highly frustrating – main character: He might say he’s always trying to get the best outcome, but really he’s trying to get out of doing anything. Charlie Brown is not a man of action, and I’m amazed they actually managed to create a coherent, funny and touching story around him. Somehow, it felt like the movie’s creators had the same fear, too. That’s why they decided to devote about a third of the flick’s screentime to Snoopy and his overactive imagination. Snoopy’s the exact opposite of Charlie Brown: He’s a dreamer, a hands-on happy-go-lucky dog who can go on any adventure possible. The Peanuts Movie opts to bring back the flying dog shed and the red baron. These sequences go all out on action and chases like there was some leftover budget in a drawer somewhere and they had no other option than to spend them. I know, for some people, Snoopy going all-out bonkers is Peanuts. I just found the sequences stylistically bland and completely forgettable. Suddenly, I was watching a regular animated movie and not a wonderfully crafted, somewhat extraordinary slice of Schulz-like animation. 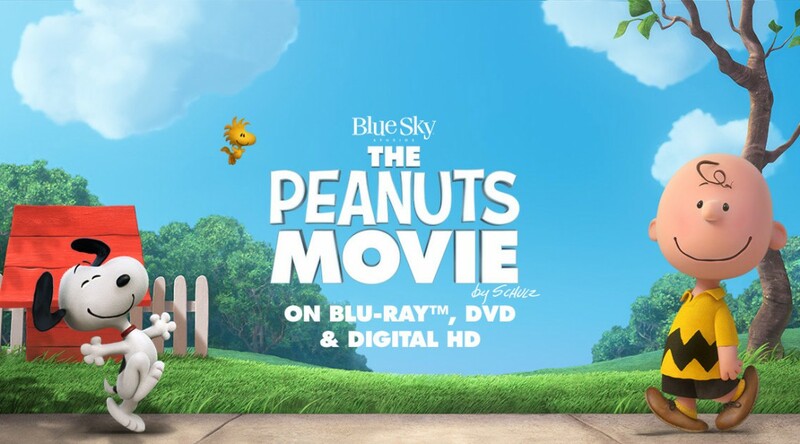 Because this movie does look wonderful – in a way that perfectly encapsulates The Peanuts universe imagined by Charles Schulz. The characters seem to be missing frames when they move, they switch from the typical Schulz 3/4-frontal perspective to profile with no frames in between the way he drew them, and the colours mimic the TV specials perfectly. The Peanuts Movie is a perfect modern interpretation of a franchise that no one really knew how to bring back to the screen. If you’re like me and you missed this movie in theaters, be like me and watch it on TV. I think it’s the best way to experience The Peanuts. And I won’t tell anyone you fast-forwarded through the Snoopy bits. Warning! Massive anecdote about myself incoming! When I was in my first semester at the dffb, we had to partake in a directing seminar led by the wonderful Marin Marchewski – a seminar in which we had to, well, direct a scene that was handed to us without altering any of the dialogues. Needless to say the dialogue was terrible, and 24 year-old bitchy Bert was annoyed. So during our flat’s Halloween party, I snapped two girls – one dressed as Sally from the Nightmare before Christmas, one as Lara Croft – and made them perform the scene handcuffed to chairs in a boiler room I hung full of lolcats. The result was terrible, but thankfully, the layers upon layers of irony in that 3-minute piece of art saved 24 year-old Bert’s skin. After all, I knew it was terrible, right? Marin cast his critical eye on my work, rattling the keychain in his pocket as he always did, calling it a “persiflage of nothing in particular”. Then, in another one of his typical mannerisms, he proclaimed “we should go for a smoke”. That moment might have been the single most defining experience at film school. It’s one of the few occasions where I didn’t learn about the craft, but about myself – about not hiding between irony because I’m insecure about my work, but just flat-out going all-out and taking the risk of getting hurt. It was also a sentence that popped into my mind during Apocalypse. 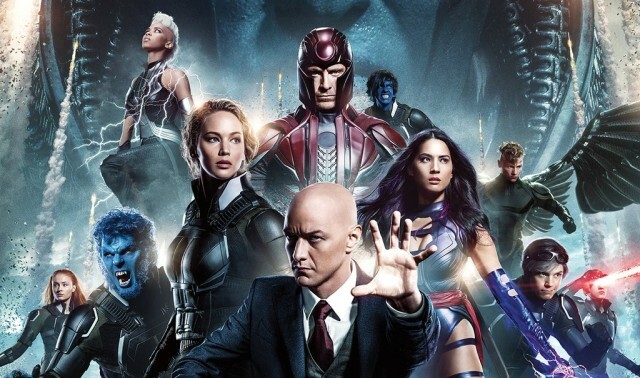 “The third one’s always the worst”, Jean grey suddenly says, walking out of the theatre, talking about Return of the Jedi while she was actually referring to the Third X-Men in the original trilogy, The Last Stand. Yet in that moment, I couldn’t help but shake the feeling the psychic girl was talking about the very movie she was in – which is also a bloated mess overstuffed with paper-thin characters. In that moment, I knew Apocalypse had quit trying. Apocalypse knew it was terrible, and it just went with it like I had. Jean Grey was the lolcat hanging from the wall, feeling smug because she knew she was part of something bad – and that make it okay. If only Marin Marchewski had been there for Jean. I’m gonna be really honest: I’ve started getting a bit burned out on the Marvel Universe. The creeping feeling started when I watched Age of Ultron, and has been steadily growing ever since. Obviously, Marvel brought this upon themselves, with their incessant flow of movies and series that are supposed to be different, but have striking similarities in story and tonality: Bad guy comes in, funny banter, fight scenes, Stan Lee cameo, more funny banter – the end. And this is why I advise you go see Civil War. No, not for the Stank Lee cameo, but to see a Marvel Universe movie that’s strikingly different from any that came before it. There’s no Ultron. There’s relatively little funny banter. Even the battle scene at the end decides to keep the floating cities and black holes to a minimum. But Bert, you ask, why should I go see a Marvel movie without Marvel things? What’s the point if the Hulk isn’t going to use Tom Hiddleston as a club?? Because for the first time, every beat in this movie is driven by emotion. 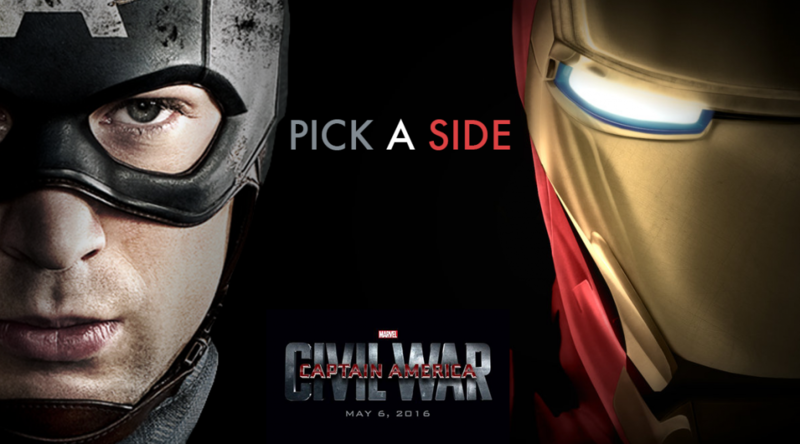 Civil War might be the darkest Marvel film to date, and while it takes about an hour to align all the pieces, it does so effectively. You understand Steve. You understand Tony. You see why their fight is inevitable, and yet you root for their friendship. It should come as no surprise that Zemo, played by Daniel Brühl, plays a relatively small role in this story. Compared to Loki or Ultron, he’s weak and vulnerable – but like every character in Civil War, he is filled with relatable emotions and you really understand why he does what he does. In short, I think Civil War might be the closest Marvel will ever get to a tragedy – and I’m so happy they pulled it off. Black Panther… kind of wahey? Berlin depicted in a well-researched geographical manner, triple wahey! Paul Rudd. All the waheys.